The Ninth Circuit Court of Appeals became the second federal court circuit to strike down class action waivers in arbitration agreements. 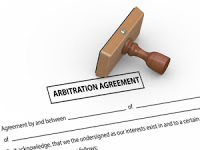 Many employers require employees to sign arbitration agreements. Such agreements require that employment disputes be submitted to an arbitrator instead of court. The Supreme Court has seemed to favor and uphold arbitration agreements as enumerated in the Federal Arbitration Act. This Act requires a "liberal policy in favor of upholding arbitration agreements." Employers often include class action waivers as part of the arbitration agreement, thus limiting employees to single person arbitration hearings for redress. The National Labor Relations Board ("NLRB") had taken the position that these arbitration agreements were unlawful when they prevent employees from filing class action claims in court or arbitration. The Ninth Circuit has joined the Seventh Circuit in upholding the NLRB’s position. Specifically, it was held that class action waivers require employees to give up "concerted activity" i.e., joining together to address wages, hours, and other terms and conditions of employment. Concerted activity is protected by the NLRA and may be not waived. Thus, such a waiver would not be enforceable.